Here’s a fun fact about most public schools I’ve encountered in my decade long career – they are woefully in need of bookshelves… but at the same time, they are SWIMMING in filing cabinets. Most inner city schools don’t have a roof that will withstand a light rain, but we always have a spare filing cabinet or five. 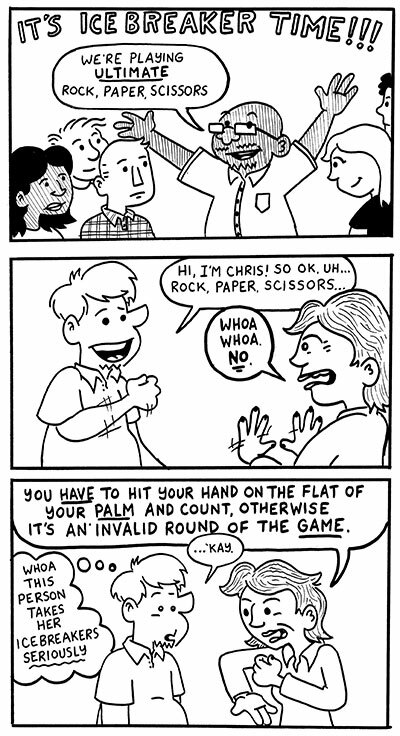 Here are some other comics about ice breakers I’ve done over the years. By most demographics, I fall into the tail-end of Gen X… but every once and awhile I’ll see something that says I might be a Millennial? At any rate, I’m an old fart compared to some of the young teachers I was hired alongside this year. 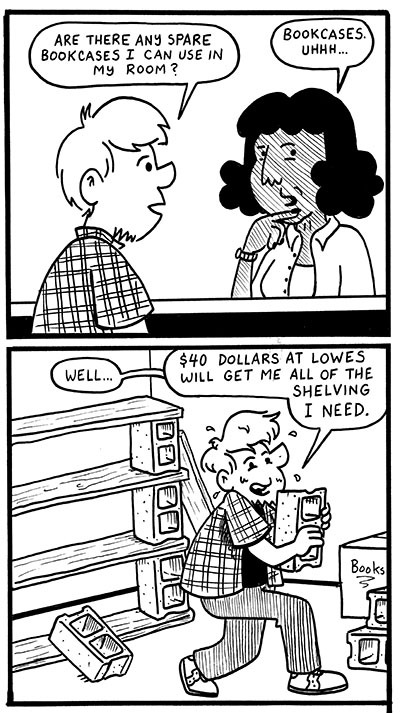 Teacher Comics: I’m a project based learning guy now. Maybe I always was? 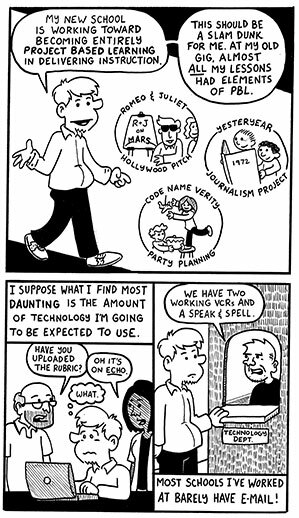 Here are some comics about the projects I mention: Romeo & Juliet Hollywood Pitch, Code Name Verity Party Planning, Yesteryear Journalism Project. You’ll have to scroll a little bit on that last link, but I’ve done comics about all these lessons! 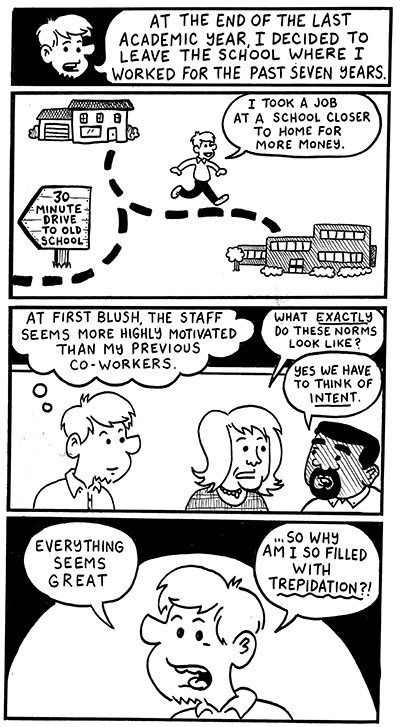 Teacher Comics: Let there be light? 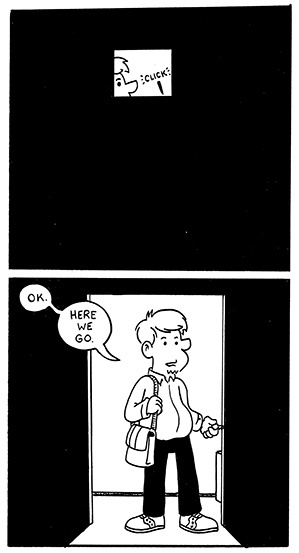 Hey everybody, I’m going to start posting new comics this week! It’s going to be a slower roll out than usual as I’m finishing up some of the work for this illustration gig but I’ll probably start posting 2 or 3 strips a week and see where it goes from there. 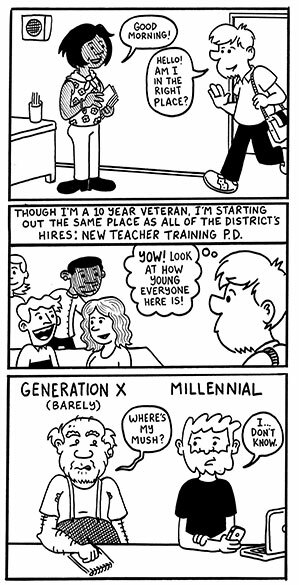 My latest comic for Ohio Schools Magazine is up! 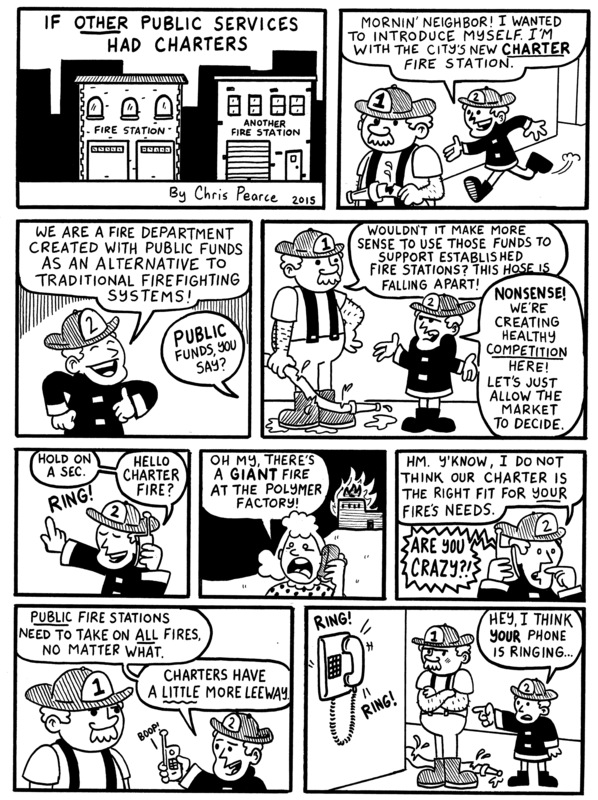 Hi everyone… still a few weeks away from starting up comics full time, but I thought you might enjoy my latest contribution to Ohio Schools Magazine. I’m pretty happy with the way it came out. You are currently browsing the Teachable Moments blog archives for September, 2015.